A year after launch its Instant Games platform on Messenger Facebook has begun testing new monetisation features with developers. A select few games on the chat app will now include interstitial and rewarded video ads. The social networking company said Instant Games will use demand from Audience Network to deliver more personalised in-game ads. The first titles to feature ads include Blackstorm’s Everwing and FRVR’s Basketball FRVR. Based on the results of the tests, Facebook will begin enabling more developers to implemend in-game advertising. Facebook will also begin initial testing of in-app purchases utilising Google Play in-app billing. Everwing will be the first game to implement this. “Rolling out initially with a small set of games allows us to test and learn the best ways for developers to integrate ads so they enhance the gaming experience while offering a path to monetisation,” said Facebook Messenger Product Manager Mike Weingert of the implementation of in-game advertising. “Based on the results from these initial tests, we’ll begin to enable interstitial and rewarded video ads with additional developers over the coming weeks, as well as further optimise the ad platform. 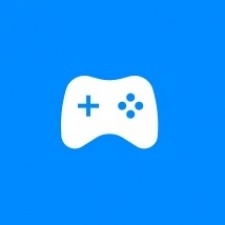 Facebook Instant Games remains a closed beta platform for select developer partners. Weingert said that as well as new monetisation options, Facebook is also making it easier for existing partners to submit and launch games directly on the platform with a more robust toolset. Developers can find our more about the Instant Games closed beta here.